Want to make cannabis seeds or breed your own strain but not sure how to collect pollen and pollinate effectively? It's actually really easy! 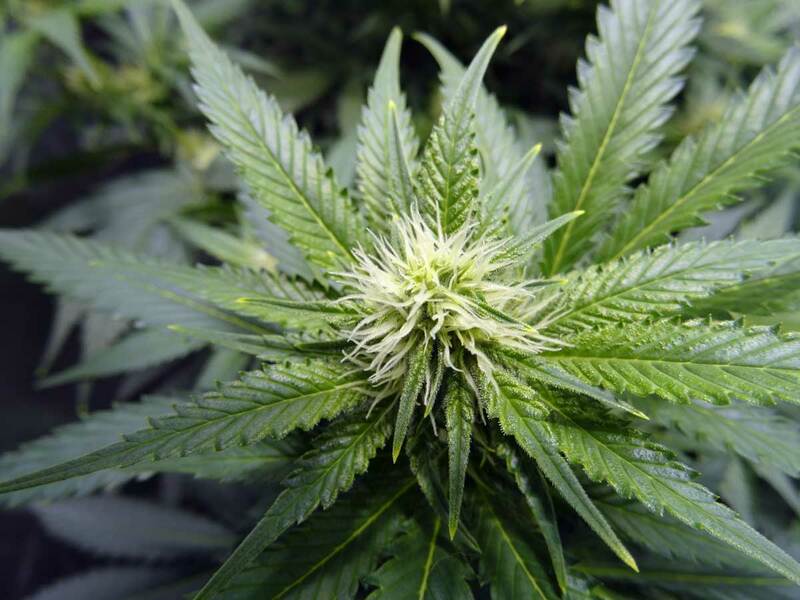 Pollen is collected from male marijuana plants after they start flowering, or occasionally female plants when feminizing seeds. When the pollen sacs from a marijuana plant start to crack and look like they're about to open up (or if you can see one has already opened) then your pollen is ready for harvest! When pollen sacs are cracking and opening up, you're ready to harvest your pollen! One way to harvest your pollen is to gently and carefully remove all the pollen sacs. Let them dry for a week, and then put them in a resealable bag. If you shake the bag the pollen should easily spill out. You may need to cut a few open yourself. Moisture is your main enemy when storing pollen. It can help to double the mass of the pollen collected by adding regular cooking flour. This absorbs moisture during storage and as an added bonus, it will make application easier later when you pollinate your plant. If you triple-bag the pollen-flour mixture and stick it in the freezer (with a good nametag so you know where the pollen came from), your pollen can be stored for a year or longer. Make sure to use "freezer" bags (platsic bags specifically made for the freezer are more effective than regular plastic bags). 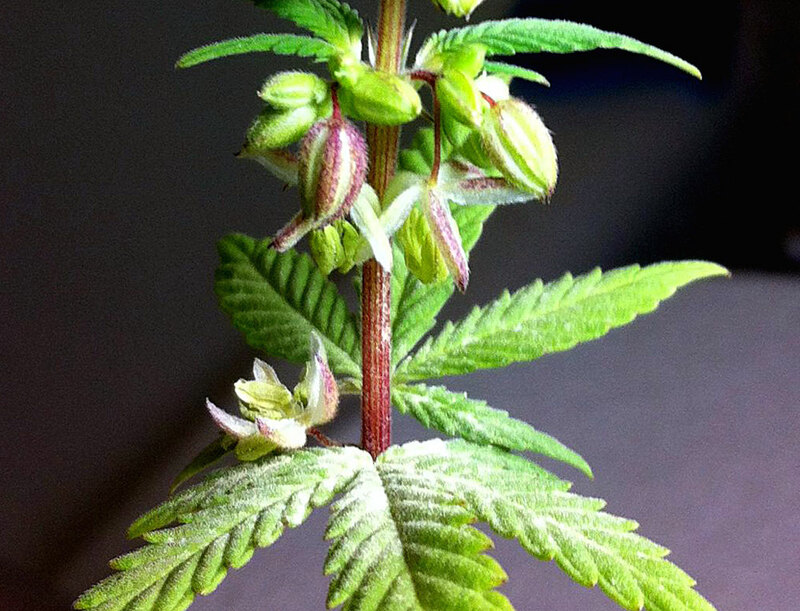 It's time to pollinate when your plant has been in the flowering stage for about 2-3 weeks. 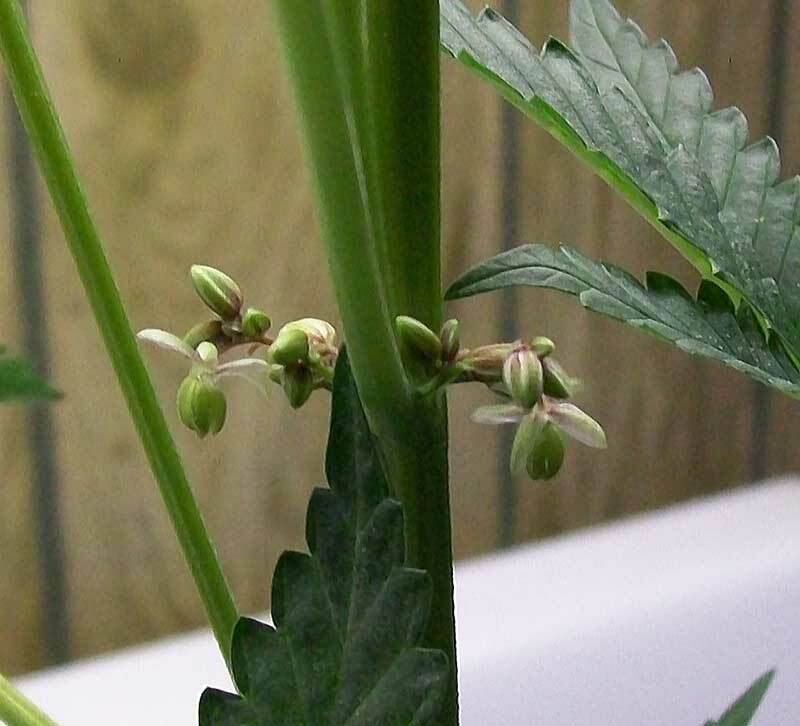 When your chosen mother is 2-3 weeks into the flowering stage, take a paintbrush and 'paint' your feminized pollen on the developing bud sites you want to pollinate. 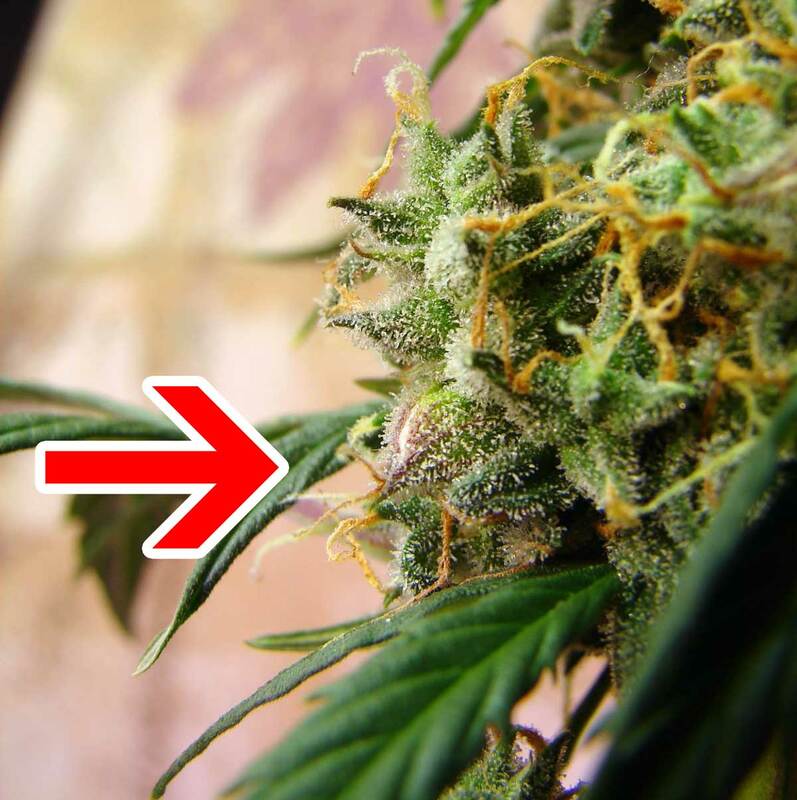 Bud sites are located wherever you can see leaves meet a stem. By 2-3 weeks in the flowering stage, all the bud sites should have tons of wispy white hairs. These are where you want to put your pollen (in the wild, these white hairs are what capture pollen out of the wind). 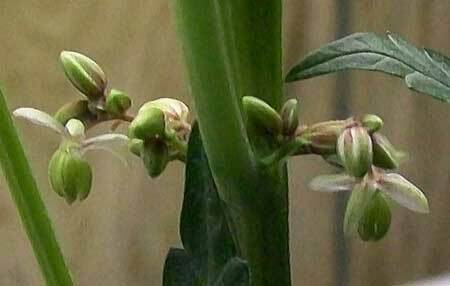 Only the buds that come in contact with pollen will grow seeds. 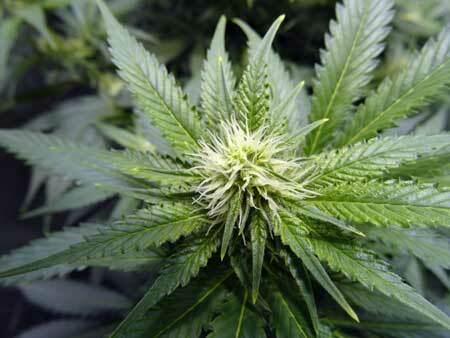 You can choose to pollinate all of your buds or just a few on the plant. 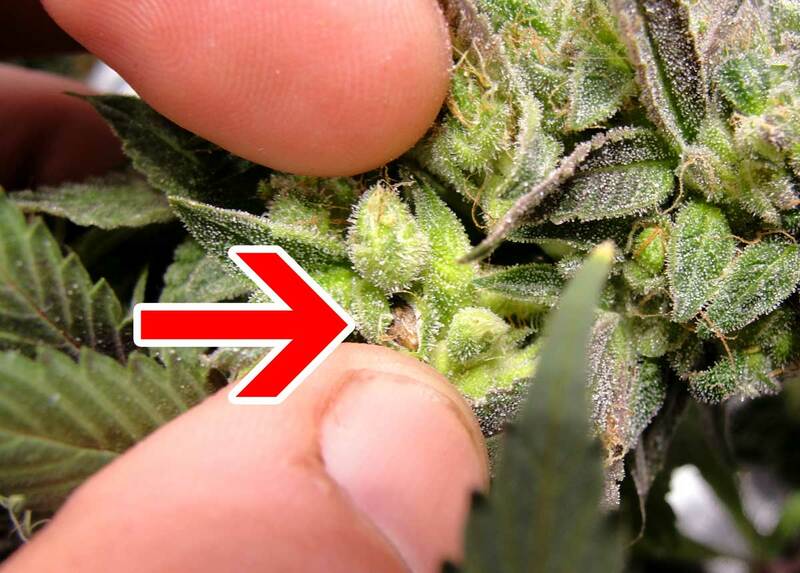 Make sure that you're touching all the female pistils/hairs with your pollen. Here's a little video showing you exactly what this looks like! 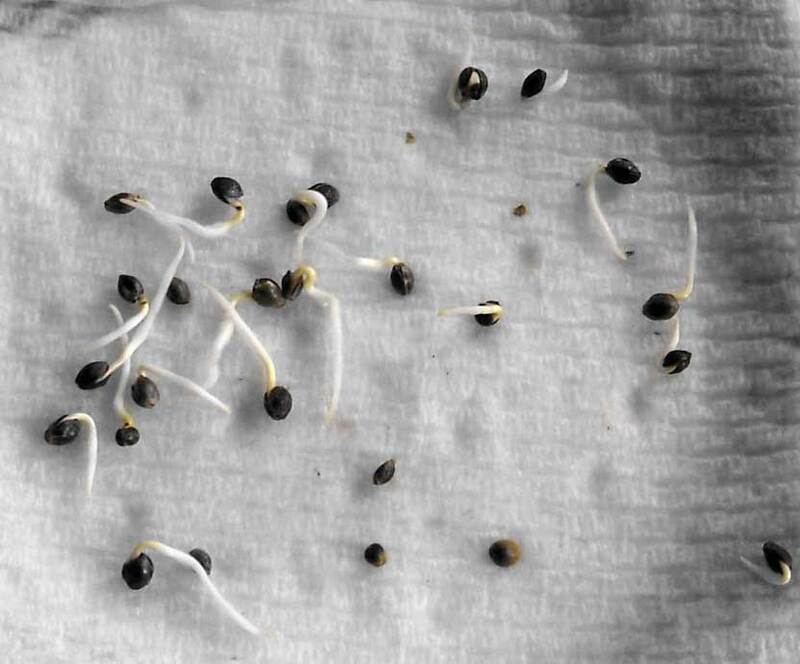 It usually takes about 6 weeks for your marijuana seeds to fully develop. Some plants are literally dying right as the seeds become ready, so try to keep your plant alive until the seeds start dropping. The seeds can be used right away, or stored in a cool, dry place for a few years (stored in the back of your fridge is great). Don't forget to label them with the date! This seed is about to burst out of its calyx! 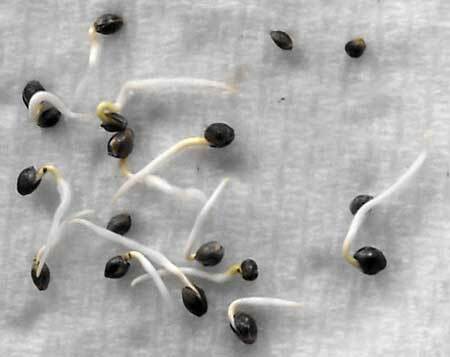 Now it's time to germinate your cannabis seeds!